Priced at 50% off its regular price. 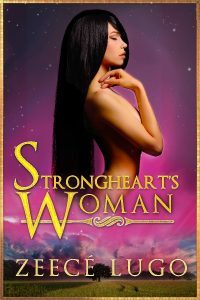 Victor Strongheart watches silently as the dark, exotic girl dances in the moonlight, his heart pounding to the beat of the drums, his skin vibrating to the whispering rain of beads in her flowing hair. Victor does not know it yet, but destiny has come calling, and it is not a gentle call! This is a tale of romance and adventure set in a possible future.